HANNAH RENEE THOMAS-GARNER IS A MISSING 17 YEAR-OLD FROM ASHLAND, OREGON. PLEASE SPREAD THE WORD/SHARE THIS FLIER. LET US HELP BRING HANNAH HOME! Who Murdered Amy Lynn Feeseha? 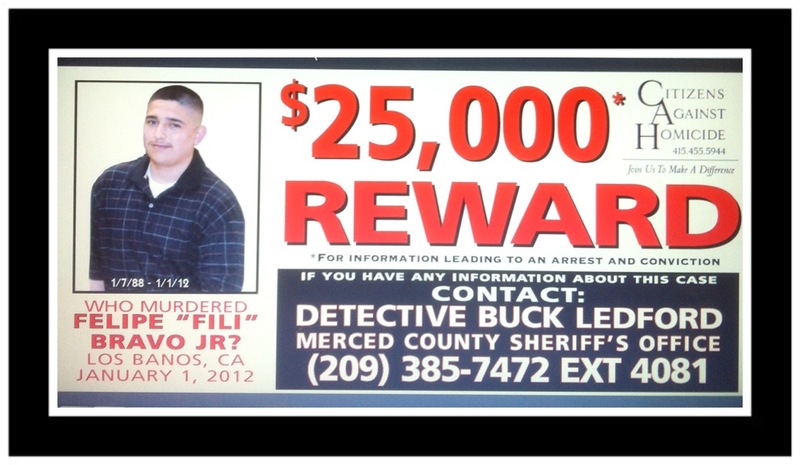 $25,000 REWARD – Who Murdered Felipe "Fili" Bravo Jr? On August 18, 2004 26-year old Jason Allen and 22-year old Lindsay Cutshall were found dead in sleeping bags on a beach near the town of Jenner, CA, both having been shot in the head. Contact: Sonoma County Sheriff’s Department. 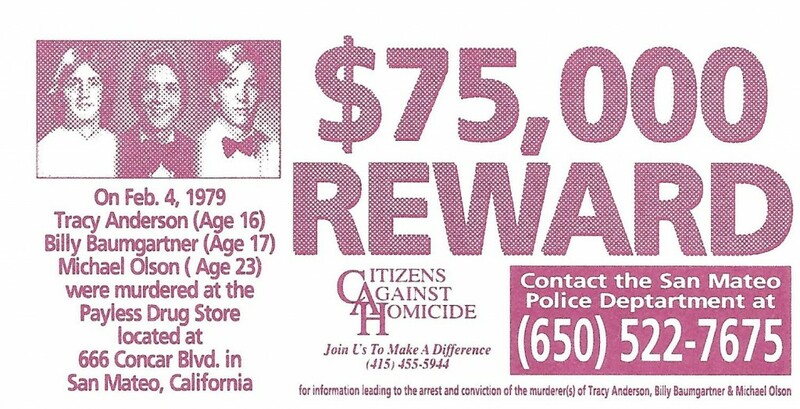 On February 4, 1979, 23-year-old Michael Olson, 17-year-old William Baumgartner and 18-year-old Tracy Anderson were shot execution-style during a robbery at a Payless Super Drug Store in San Mateo.